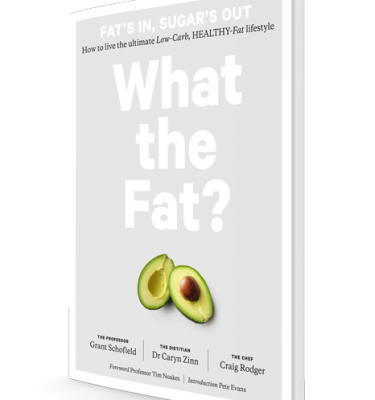 What The Fat? 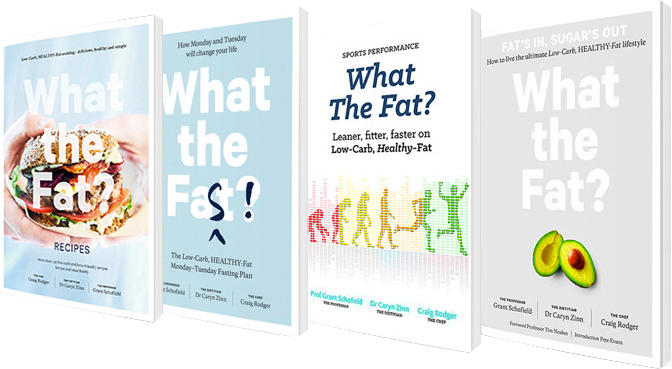 Sports Performance: Leaner, Fitter, Faster on Low-Carb Healthy Fat - What The Fat? Hi Caryn, I bought the 1st and 3rd books here in SA – what is the possibility of getting this one here as well? Surely the company that brought the other two in can get this one as well – I desperately want this book as well, especially love What the Fast! we’re working on this! 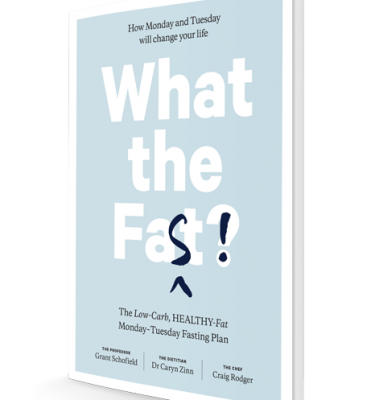 Glad you love What The Fast! In the meantime you can still order Sports Performance from New Zealand via this website; the price will be calculated in the cart before you pay, so you can check if the postage will be excessive first. George on behalf of WTF? 3 feeds a day sometimes 2 with energy to spare . Still great food and fun cooking .Cycling has never been better . Great book well explained ,the testimonials’ really do tell the full story. Is this book available in SA yet? After I read the WTF (non sports) book, I lost 5kg by accident, some of this was muscle mass (and some was doughnut), and this was because I didn’t understand the application of carbs during intense exercise. I probably depleted my glycogen and lost a little muscle. Since reading this sports performance book it’s cleared up all the confusion I had and adds a nice extra layer on top of the WTF book. 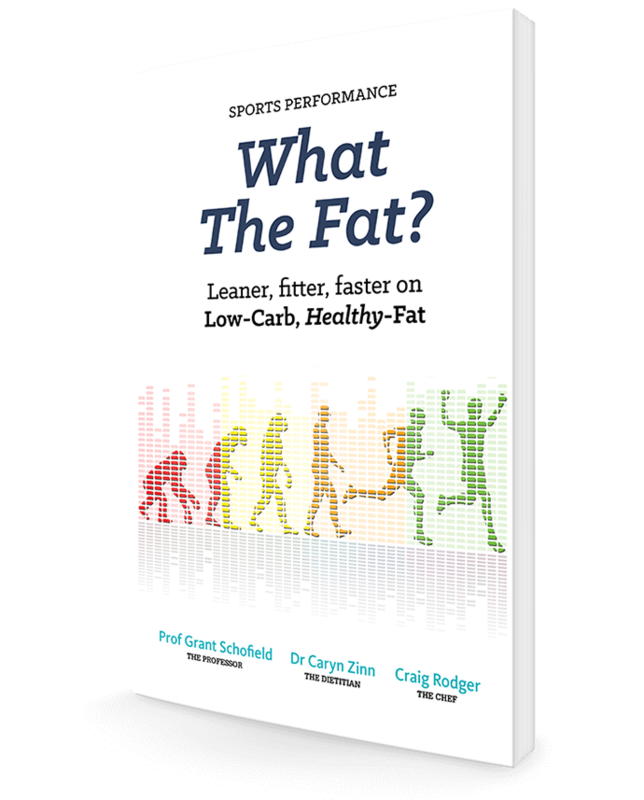 Since reading and applying this information I find my mountain biking endurance greatly increased, and I’m gaining lean muscle again, and have a much better understanding of how carbs and fat are consumed during sports. I’m so grateful that someone recommended this book to me. Before reading it I couldn’t see how low carb could possibly work with endurance sport. It makes so much sense and I know understand why I’ve struggled using traditional methods (calorie counting etc). 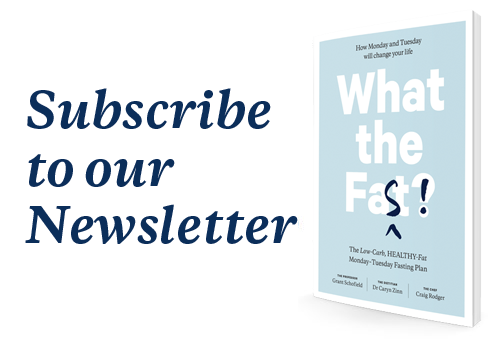 I am excited to embrace LCHF and see what benefits it brings me in line with training. 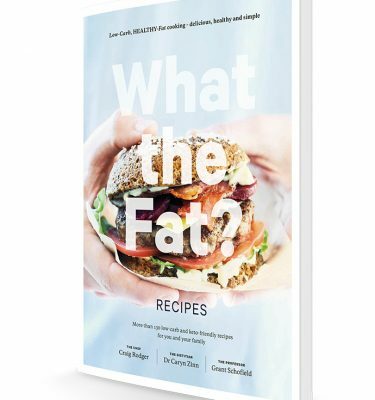 The case studies and sample recipes are so helpful; I went out and got the WTF book and this has given me a lot more ideas for food shopping. Thank you! Seriously this book is gospel and my heart is singing for joy!! 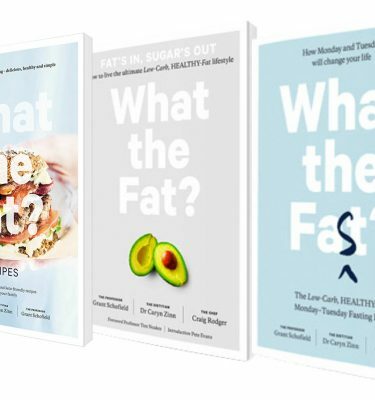 Haha I’ve not read the other first book yet (buying today) but have been loosely following the LCHF guidelines over the 1.5 weeks and feel amazing already, I’m always feeling full and no longer feel strapped to the sweet cravings and continual carb top ups & have lost 2kg!